When and Where? – Sugden Sports Centre (M1 7HL) & the Flour and Flagon. Full Info HERE. 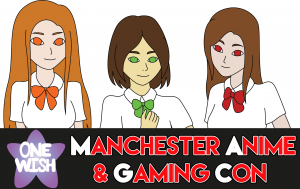 Make sure to get your tickets soon for Manchesters anime, gaming, cosplay and comic event! We have a variety of guests lined up. 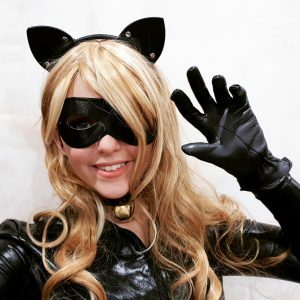 Ranging from Cosplayers, Performers, YouTube Stars, Voice Actors, Panelists and More. More to be Added Soon. 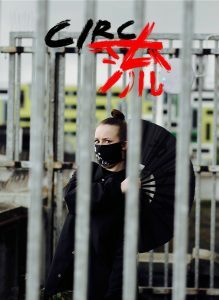 Inspired by all things edgy and pink, singer/songwriter and anime fanatic LELE is set to wow UK audiences in 2018! 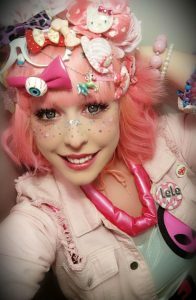 LELE’s own unique blend of Japanese Pop and Electronica has been received by fans worldwide as a SMASH hit success, with stunning performances across Australia and Japan. 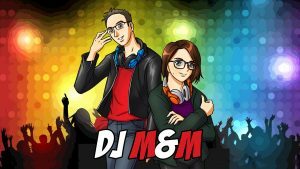 Her music can be found in anime commercials and heard alongside interviews with some of the largest names in voice acting. With vibrant costumes and catchy songs, LELE is colourful personality that is not to be missed! "Hi everyone, we're Eden, a dance group located in Manchester that bring your favorite idols to a stage near you! From Love Live! to Idolm@ster, Twice to Blackpink, we hope to share our love for cosplay and dance with you, please support us!" 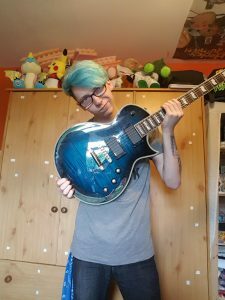 19, a lover of anime and metal music, so i decided to combine the 2 and start a youtube channel of all my home covers. I am looking forward to performing for all of you at Manchester in April. Here is my youtube aswell to get a taste of what I'll be performing! 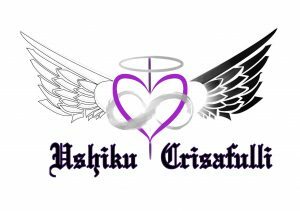 Ushiku Crisafulli is a chef, poet, playwright, actor, performance artist, musician and founder of the OpenMind Collective. He co-wrote and starred in the January 2008 Manchester Playwrights Forum production of A Last Cry at Contact Theatre. He is part of the Contact Young Actors Company Alumni and was Manchester’s representative in Contact Theatre’s Contacting The World Festival Youth Leadership Summit in 2010. We work hard to make our shows memorable for everyone always going all out onstage. As well as our live shows we love to make videos on YouTube to show both out funny and serious sides. Brand new cosplayer and is ready to entertain you all with their performance! 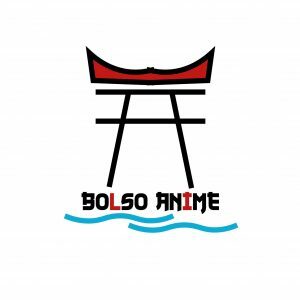 "I've been watching anime since I was really little and I love it so much. 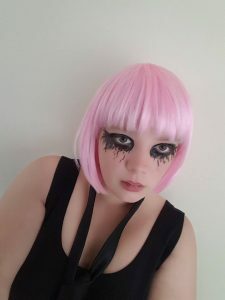 I also love cosplaying, performing and meeting new people. I hope to meet lots of new friends at the con." 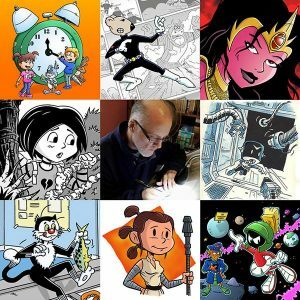 Steve Tanner's passion for comics knows no bounds. 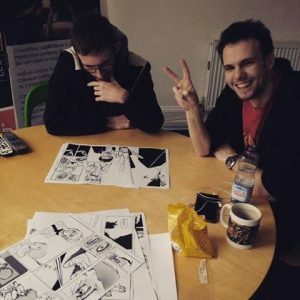 An avid reader and collector since childhood, Steve decided to fully realise his enthusiasm for the medium in 2006 when a visit to a local comics convention inspired him to set-up his own comics imprint - Time Bomb Comics. Since September 2007 Steve Tanner and Time Bomb Comics have been publishing critically acclaimed quality one-shots and graphic novels in the UK. "Hi! 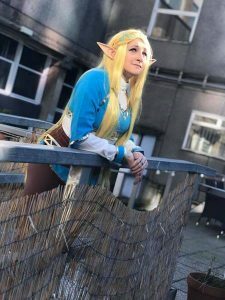 I'm Josie, AKA Ezkit Cosplay, and I've been hooked on making anime cosplays for 4 fun-filled years now. I'm based in Bradford, and being a northern girl through and through I've even braved the snow in my Revy (Black Lagoon) get-up! 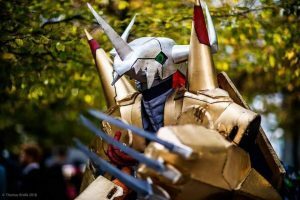 My first anime obsession was Digimon at the tender age of 6, so it really was a dream come true when I built my wargreymon cosplay. Definitely a far cry from when I first started in 2015 and my mum had to do even the simplest of sewing for me lol! I'm really looking forward to meeting you all at con, hope to see you soon ^.^"
"Hello, we are Moonbean Idols! 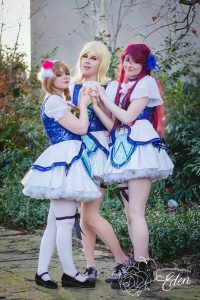 We are a fairly new, small love live idol group based in Manchester and Yorkshire! 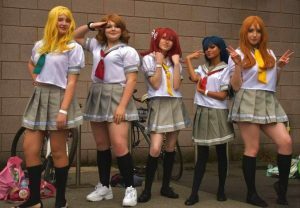 Our first members met at a small Love Live meet at Manchester MCM and from there, we recruited some more members and Moonbeam was born! We hope you enjoy our performance, we hope to have fun and we hope you have just as much fun watching us perform. Thank you!" The cool, calm and collected tightwire walker RapidEye Rae! With assassin like instincts she obsesses over perfecting the art of balance. A core member in the group of misfits CIRC6, their mission together is to find and protect the scrolls of AEON. 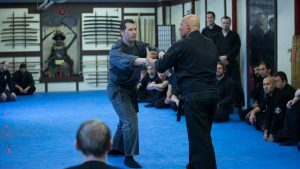 Circle Martial Arts will be attending to give a Q&A and demo. They are looking forward to all of you coming along and can't wait to make new friends! 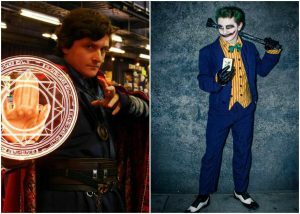 "The both of us have a few things in common namely , love of cosplay and expressing our appreciation and love for characters , making people smile and entertaining others , we both have a background in acting and we love to bring peoples favourite characters to life , we do it because its fun for us , making others happy and laugh makes us happy , and we love every minute of entertaining others and putting a smile on people of all ages"
For your Saturday party you'll have the pleasure of DJ Mike & Mel who will be playing all the best geeky, anime, gaming songs for you all! 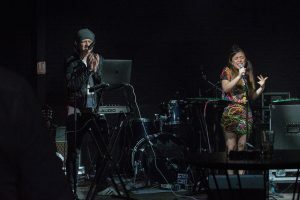 Armed with a lab-coat, a Gameboy Advance and a rack of analog synthesizers, Manchester's Myths and Monsters create Nintendo-powered synth-pop and electronica. 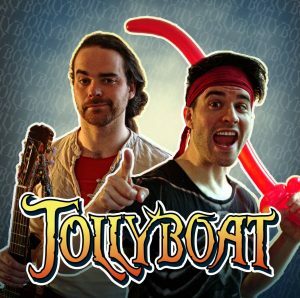 Expect music akin to the soundtracks of vintage arcade games and lost 1980s TV shows. 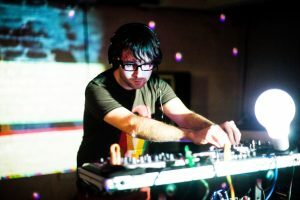 Myths and Monsters' is the alias of Ste Whiley, who is currently the host of a web series covering how to use a Gameboy to control synths and is supporting the organisation of Manchester's 4th Chip Bit Day. 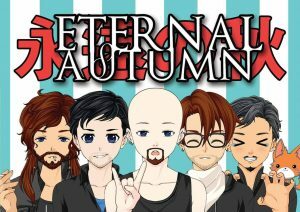 I'm Anime and music lover from Warrington and the founder of the band MHG back in 2008. I had the absolute pleasure of playing at Alcon last year. 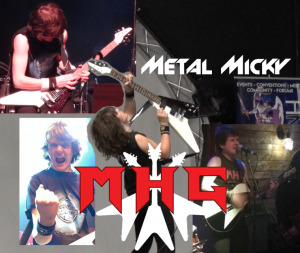 I was brought up on Bon Jovi and heavily influenced by British heavy metal legends Iron Maiden and UFO. I've played in pubs over the North West, and venues like the Parr Hall, Halton Stadium, and Halliwell Jones Stadium. Come meet the friendly healthy even tempered Lupine dogs. 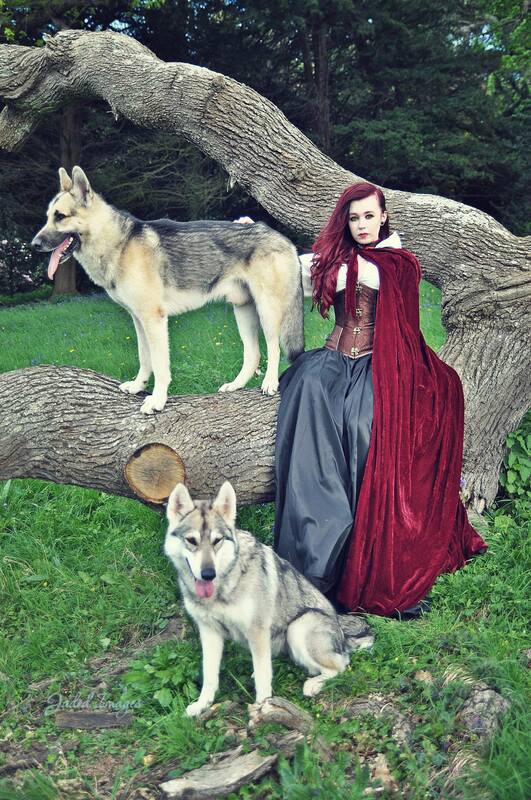 These wolfs will be super friendly and love a good pet. 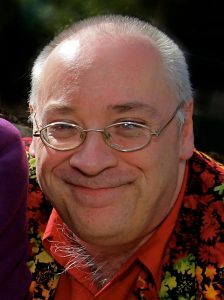 He has worked for numerous publishers in Britain, Europe and America - among them Cappelen Damm, DC Thomson, Fleetway, Future, Marvel UK, Panini, Penguin USA and Random House. 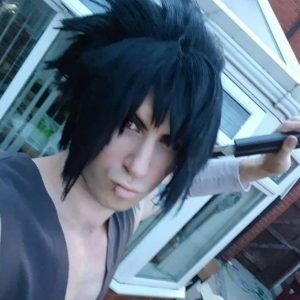 Crimson Red Cosplay has been cosplaying for 6 years eventually gaining skills to being able to make their own cosplays and props. 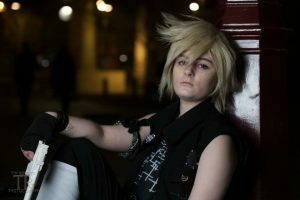 Always creative and positive, looking forward to presenting their panel on Sunday "Postive Coscraft Guide"
Yan Cosplay, Kevin has been an active part of the cosplay community for 5 years. Inspiring others with his positive attitude, people skills and focus on his characters designs. Specializes in 3D Weapons/props, Foam Crafting and Wig Styling.